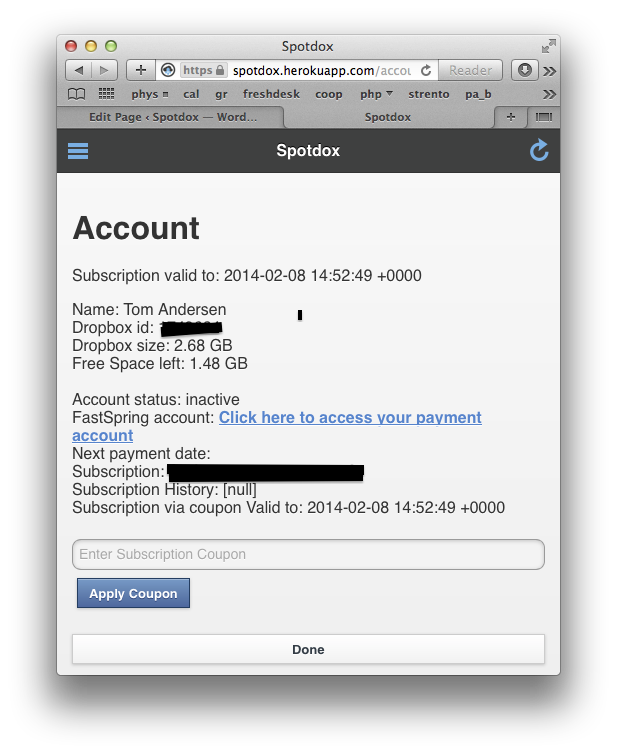 In order to use a coupon, please login to Spotdox, then while logged in, click on account. Enter your coupon code. Even if your free trial is expired, you should be able to get to the page showing your computer icon. Click on the three blue lines above the computer icon to reveal the search details/account/support panel. Click on Account. Enter the coupon. Press Apply Coupon. If all goes well you should see a ‘Subscription via coupon valid to’ statement.